Welcome to Motorparks, where we present you with an exceptional family car in the form of the new SEAT Toledo. The SEAT Toledo is best described as the ideal result of blending the elegance of a coupe with the versatile approach of an estate car. If you need more convincing though, the numbers associated with the new SEAT Toledo makes for an appealing read. You receive up to 122PS of power through the car’s efficient engines, for one, while the vehicle’s boot offers an incredible 550 litres worth of space. 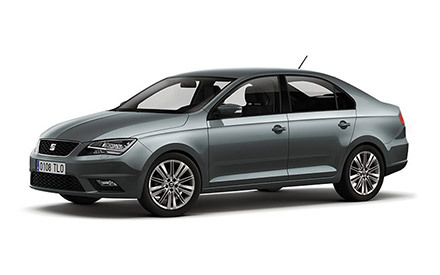 Take a look at all of our new SEAT Toledo cars below and enquire about any that appeal to you online today. We also stock a huge range of used SEAT Toledo cars here at Motorparks, including a few models that have barely any miles on the clock.